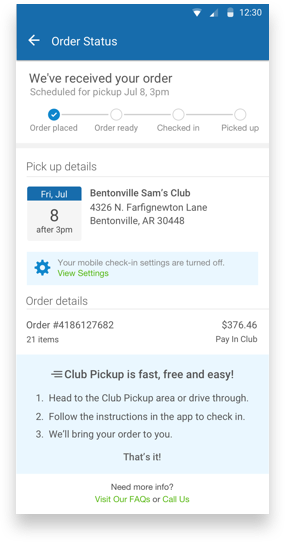 Making it easier to pick up orders at the club using the Sam's Club mobile app. Customers who make purchases through the Sam's Club mobile app have the option to pick up their order at a local club instead of having the items shipped to them. If they decide to pick up the order, they simply select that option and head to the store where their items will be waiting. 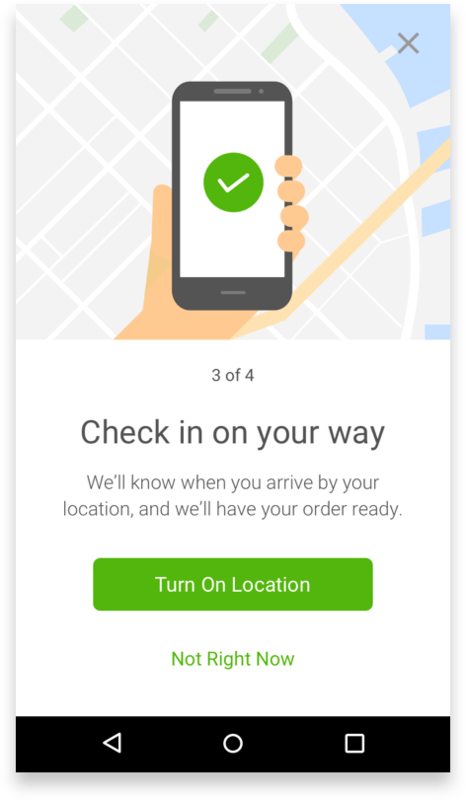 Once they place the order, they will receive a series of mobile notifications instructing them on how to pick up the order. While this seems like a simple task, what we found through customer feedback was that some people were having issues for a variety of reasons. We focused on 3 key problem areas to improve the experience for our customers. We wanted to turn "Meh" into "Great!" In collaboration with business, product, engineering, and UX, we came up with the following solutions to address the key areas of improvement. To help customers understand how Club Pickup works, we came up with an on-boarding experience that explains the process in an easy to understand manner. 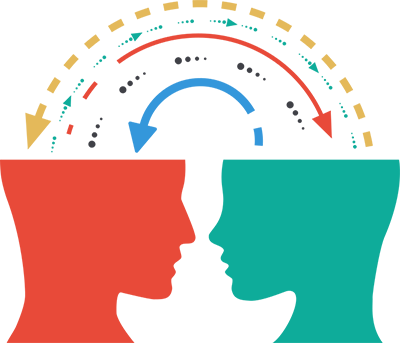 Links to this on-boarding experience are peppered throughout the app in appropriate places where the user might need the help. Not only do we explain the process, we also have action items within the flow to help them optimize their experience. In addition, we've added an educational module at the bottom to explain the process in clear and simple way. During the checkout process, there's an alert that tells the user to turn on "notifications" and "location" for a smoother check-in process. When they arrive on the page, they can get further explanation and turn on the settings. We've also included a "How it works" button if they wish to get more help. This button will launch the onboarding experience.